There is something about seeing your own photos and words in print that cannot be explained. Years of sharing my heart with all of you, sort of "condensed" into a few pages of a beautiful magazine. I was included in the latest issue of this wonderful publication, and I have to say that it was one of the harder things for me to do. The words flowed freely as I wrote the article, but I needed to share intimate thoughts on my life and health. it takes a look into the soul of the blogger. but it's how we walk the road that makes the difference. for featuring my home at Christmas! Hoping this Sunday finds you feeling well Debra...so excited for you being featured in these two beautiful magazines! Can't wait to see!! How amazing is that!!! Congratulations and well deserved! Oh Debra, that's wonderful! And it couldn't have happened to a nicer and more kind person and blogger than you. I will have to purchase this issue. Congrats to you Debra, I am sure it was hard to share those inner feelings but I am sure you have grown from this experience as well. Thanks so much for sharing all that you do with all of us. Have a blessed day. Congrats girl, you deserve it you place is just beautiful. Oh how delightful to learn you were featured - you totally deserve this, your home is amazing - and your ability to design is unparalleled, Debra! A big ole huge congrats to you! Hugs. Congrats Debra! So very happy for you! Very well deserved. You are such a sweet lady and your home is both gorgeous and inviting! I read the article yesterday on an airplane. I thought you did a great job! Congrats Debra on the feature. I received a free copy a few weeks ago (think it came by mistake) and saw your feature...it's wonderful my friend! Congratulations Debra!! You certainly deserve it - everything you do is so gorgeous and so professional. You have one of my very favorite blogs. Congratulations and blesssings!! Congratulations. It looks great. Such a deserving honor. Wow! I'm impressed! Congratulations! You're someone I aspire to be, blogging wise. How wonderful for you, congratulations. Congratulations! I need to check out that magazine. 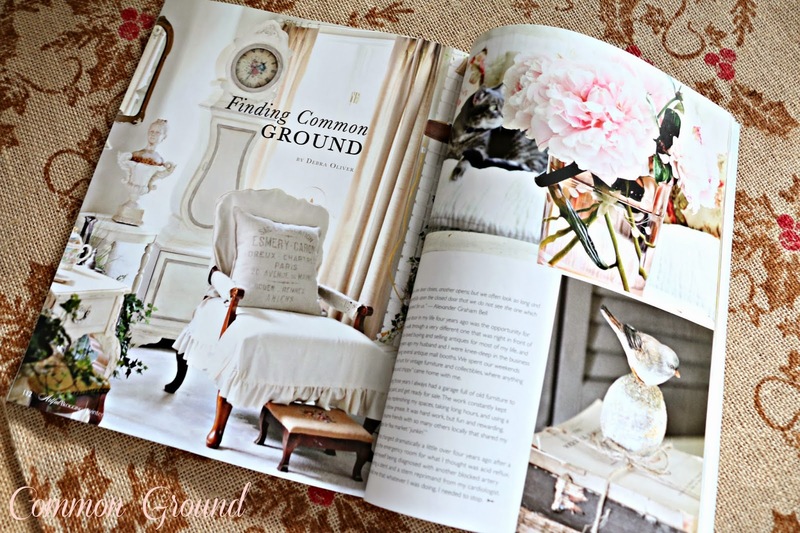 The pictures of your home look so beautiful! I'll be sure to look for it on newstands so I can read the article too. Congrats, Debra! You deserve every bit of it. I'm very happy you were featured in the magazine. You have a great house! This looks beautiful, Debra!! A BIG Congratulations! I'm looking forward to seeing the feature! Kudos! What a wonderful achievement! It looks like a beautiful spread. Must be nice to be able to hold your achievement in your hands! Congrats Debra, I will be looking for this issue! Debra, congratulations! I let my subscription expire, but I'll stop by Barnes and Noble and pick up this issue. It looks like a wonderful article. Congratulations, Debra! I will try to get a copy of this issue, it looks wonderful! Congratulations on both features, Debra!!! 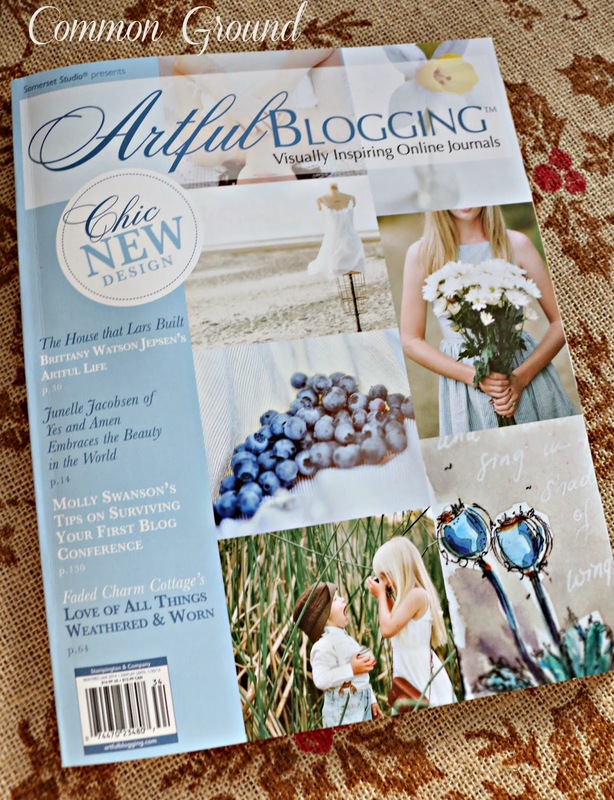 Your images look gorgeous in print and I'll be looking for the newest Artful Blogging magazine at the bookstore! Congratulations on your magazine features Debra. You deserve it! Your home and blog are so beautiful and you are so warm and sweet. Congratulations! 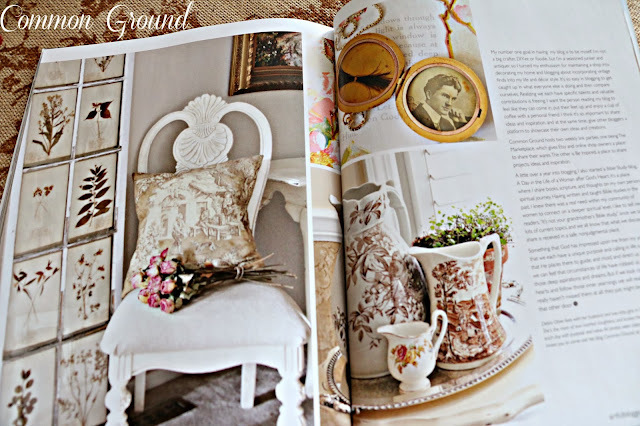 I loved your beautiful article in Artful Blogging! Congratulations! 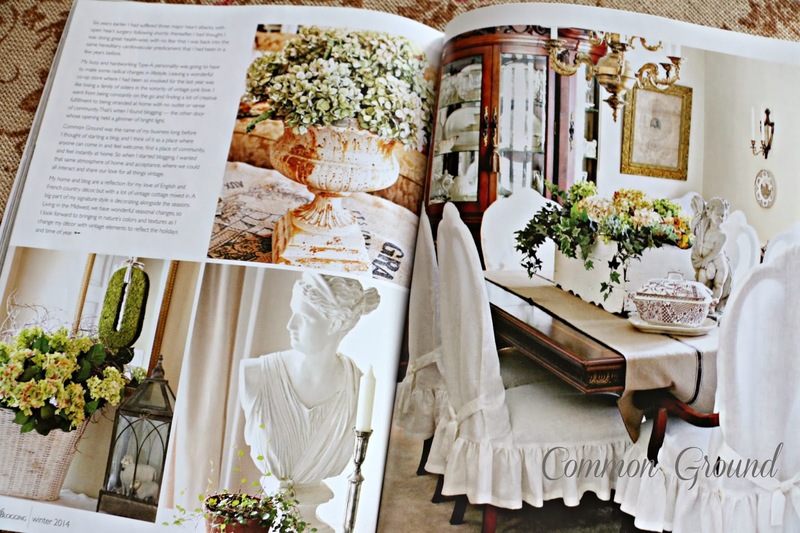 It must be a weird feeling to see one's home in the pages of a magazine. Congrats on the publication, you are deserving. Congrats to you and well deserved. What a beautiful spread Debra! Congrats Debra, well deserved, I'll have to look for a copy of the magazine. Congratulations Debra! That's great news! Can't wait to pick up that issue! How wonderful to be in a magazine like that! Now so many more women can enjoy your beautiful decorating! Congratulations! oh, congrats to you, debra! the pics looks so beautiful! and isn't kerryanne's magazine fabulous?! Congrats Debra. Artful blogger is a great magazine to be in. I loved your feature. Your home looks beautiful. Congratulations Debra. I thought this issue was exceptional. The article about your blog was inspiring to read and beautiful to look at.